We are manufacturer & exporter of Induction Bottom Cookware. The product fabricated by us are made using the best quality raw material. Induction Bottom Cookware are produced keeping in mind the work conditions and are widely demanded in India and abroad. 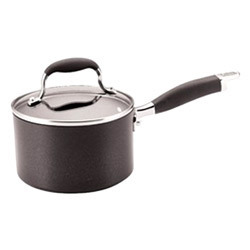 We have been widely appreciated in the market for offering an exclusive range of induction bottom Saucepan to the clients, as per their requirements. Further each piece is constructed using heavyweight stainless steel. We offer these at a reasonable rates.